"Michigan basement" refers to a primitive space with simple cement or cinder block walls about 5 to 7 feet high, and a dirt or cement floor. The ceiling is generally the exposed wood beams of the floor above. The area often houses the furnace and water heater for the home above. The atmosphere in a basement is usually cool and somewhat damp, generating a musty, earthy odor. A Michigan basement space can be excavated so the walls are at least 8 feet high. The walls and floors can be waterproofed and sealed to provide extra living space for a relatively low cost. 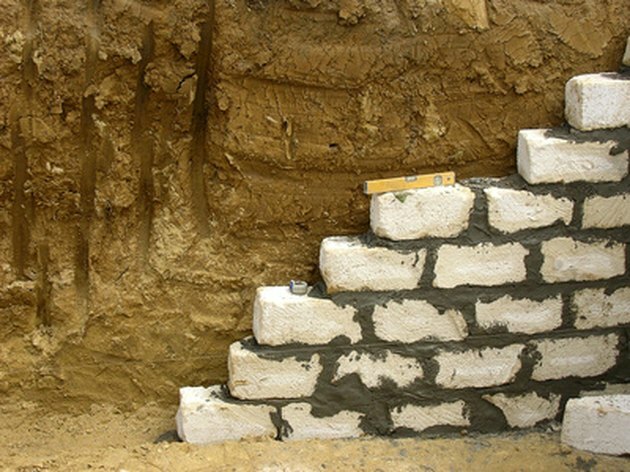 A Michigan basement is characterized by half-finished cement block walls and either dirt or cement floors. An unfinished Michigan basement is a perfect site for storing home canned goods in the winter, or for creating an old-fashioned root cellar. Root cellars are cool, sheltered spaces to store fruits and root vegetables following the fall harvest. Dirt floors, good ventilation and cool temperatures are the simple requirements. Shelves to store fresh produce in one layer is the only essential furniture. Finish your basement and turn it into a craft workspace. A reclaimed basement space can provide a workspace for craft projects. Cement and seal the floor and walls before applying drywall and flooring. In a craft room, washable floor surfaces are preferred. Install cupboards for storing supplies, a sink, and adequate lighting. 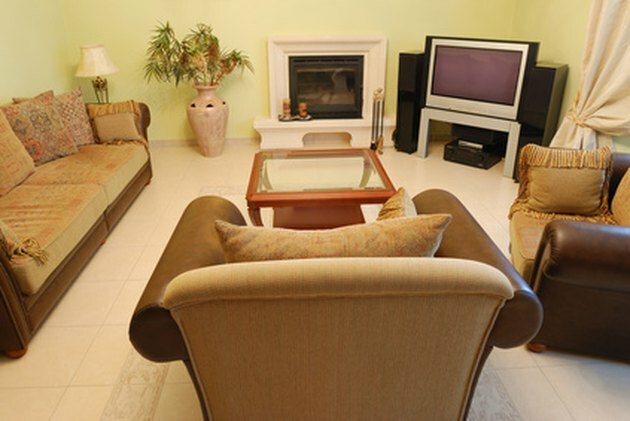 Bring in overstuffed furniture once the basement is finished, to create a home theater. Turn the basement into a home theater. Cement and seal the floor before applying carpeting to soften noise and create a sense of warmth. Seal the walls and apply drywall and paint. Recessed lighting with dimmer switches will add a glow to the space, and facilitate controlled lighting for viewing entertainment. Simple, comfortable, deep seating will make it a pleasure to view films and TV or to listen to music. A basement can serve as a dance, music or art studio. Seal the walls and floor and apply paint. Install a drop ceiling and add recessed lighting. Add an engineered wooden floor and a mirrored wall with a bar to create a dance studio. Cabinets for storing art supplies, good lighting and a scrubbable floor are essential if the space is to be an art studio. For a music studio, you will need space for instruments, music storage and a sound system, along with adequate lighting. Relocate your home office to the basement. 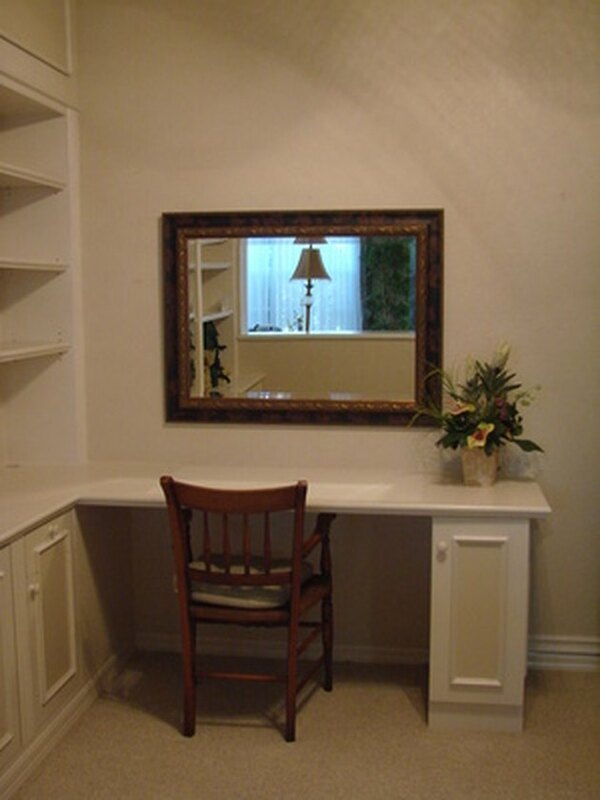 With proper lighting and organization, the basement can accommodate a home office. The walls and floor may be sealed and painted, or the floor may be carpeted. A drop ceiling, painted white, will lighten the space, and create a sense of order. Bring in a desk, bookshelves and document storage to add functionality to the space. Create an all-purpose play area for small children in your Michigan basement. Walls and floors should be washable surfaces. Recessed lighting fixtures will provide a warm and friendly atmosphere. Finished flooring systems will temper the cold of cement by as much as 10 degrees. Toy storage shelves or bins are the only essential furnishings.